Seagate has announced its new Game Drive for Xbox SSD. While the name suggests it is primarily for the original Xbox, this drive is focused for the Xbox One (regular and S) and Xbox 360, allowing users to store more titles using NAND flash memory. Due to the higher performance of SSDs compared to HDDs used in an Xbox One, the Game Drive for Xbox SSD is being promoted as enabling faster boot and game loading times. 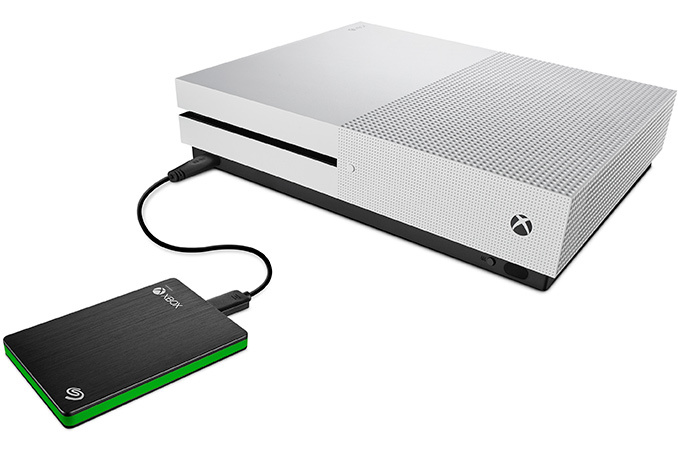 The Seagate Game Drive for Xbox SSD has a storage capacity of 512 GB and uses the USB 3.0 interface to connect to the console. According to Seagate, the SSD can store approximately 15 games (assuming that their size is in the range between 35 GB and 50 GB) and various downloadable content. 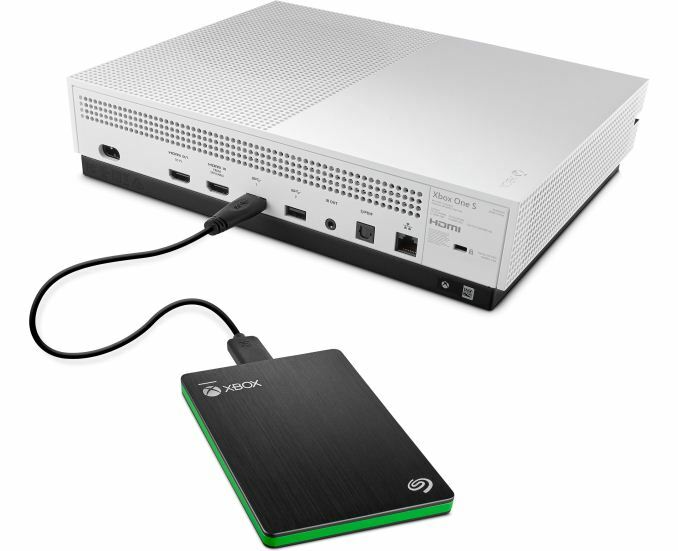 The drive comes in an aluminum enclosure that is durable and somewhat matches the design of the Xbox One (at least, the original black version). Since the SSD connects to the system using a USB 3.0 Gen 1 cable, its read and write speeds are expected to be limited to near ~400 MB/s (due to overhead incurred by 8b/10b encoding) without additional proprietary drivers (like ASUS' Turbo modes). Nonetheless, 400 MB/s is considerably higher than read/write performance provided by 5400-RPM HDDs used inside the Xbox family (typically, such drives feature read speeds of around 150 MB/s with poor random performance). Seagate does not disclose whether the Game Drive for Xbox SSD uses TLC or MLC NAND flash, or which controller is in play so, we cannot make any assumptions regarding endurance of the product. Nonetheless warranty times are listed for America (1-year), Europe (2-years) and Asia-Pacific (3-years). Update 11/3: Seagate confirmed that the Game Drive for Xbox SSD is based on TLC NAND flash. What is more interesting is that Seagate uses an undisclosed controller developed by SK Hynix/LAMD (which probably means that it also uses memory from SK Hynix) along with its own firmware for the drive. In fact, it is highly likely that Seagate uses SK Hynix's Canvas SL301 or SL308 SSD inside its Game Drive for Xbox SSD. We do not know a lot about the SK Hynix SL301, but the SK Hynix SL308 SSD is rated for 150 TBW, which is fairly good for a drive, which will be mostly used for reading, not writing, throughout its lifespan. Even if Seagate's firmware reduces total TBs to be written in a bid to maximize capacity, the endurance of the drive should remain on a decent level (assuming that we are dealing with the SL308). As for pricing, Seagate intends to charge $199.99 for its Game Drive for Xbox SSD, which is $20 to $30 higher compared to other external SSDs compatible with Microsoft’s latest console. Amazon, GameStop and other consumer electronics retailers plan to start selling the device in November. In addition to the Game Drive for Xbox SSD, Seagate also offers 2 and 4 TB mechanical hard drives for Microsoft’s Xbox One as well as 1 TB SSHD drive for Sony’s PlayStation 4. PS3 and 4 support normal notebook drives.